Woah! It's top ten time! And because I'm about to write about Blanck Mass, an act with a stupendously large sound, I am going to write the rest of this bit in capital letters. 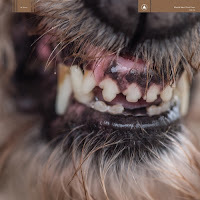 IF YOU ARE AN EAGLE-EYED READER OF MY WORDS, YOU WILL KNOW THAT BLANCK MASS'S DUMB FLESH WAS MY ALBUM OF THE YEAR IN 2015. MY REVIEW PRAISED ITS GLORIOUS ENERGY, AND OH BOY WHAT ENERGY. THE GOOD NEWS IS THAT THE GLOBULA GABBA OF NEW ALBUM WORLD EATER (SACRED BONES RECORDS) IS A REAL TREAT. A PERFECT MIX OF FAT POPPY LINES AND ADOLESCENT AGIT-ELECTRO. IT'S PROCESSED TO HECKERY AND I LOVE IT. Tell you something: it's exhausting pressing shift before every letter. Scroll all of the best 2017 electronic albums by clicking here.